From Usher to Shania Twain…From Diddy-Dirty Money to Kirk Franklin…From Monica to Kool & The Gang…International recording artist T-Ran Gilbert is known for shifting the atmosphere of whatever platform he has been given. T-Ran is a singer, songwriter, musician, producer, actor and motivational speaker who redefines the idea of the Pop/R&B artist through his unique style of music that fuses elements and sounds waves that penetrates the heart. He hit a milestone as an independent artist when his official debut video, “Need You Now,” reached over 1.3 million views. The video has rotated nationally on the MTV circuit and thousands of other outlets. He began his musical journey in 1984 with the union of Russell and Terri Gilbert in Chattanooga, TN where by the age of three, he was singing on the kitchen table. With a maturity in his voice beyond his age, T-Ran Gilbert has always been ahead of his time. From singing background vocals for Shania Twain and opening for headliner Freddie Jackson to singing the national anthem at the SEC Women’s Championship Game…all before the age of 18! He has performed his unique style of music coast-to-coast—from Turner Field in Atlanta to the churches of Mongolia—while reaching millions through the world of media. 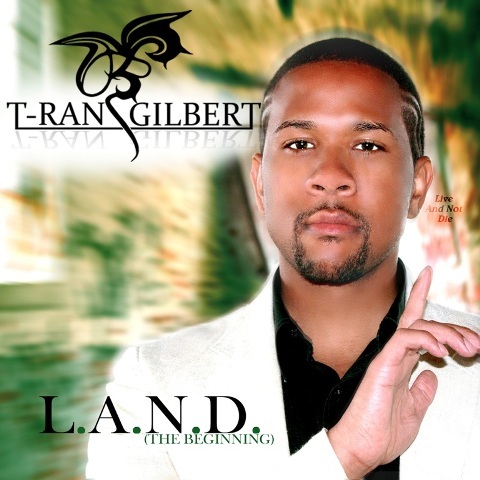 T-Ran Gilbert is an ambassador of a new era in music, saying: “My music and message are meant to reach the broken and forgotten, as well as to inspire people to see beyond." He is currently headlining the third leg of the "L.A.N.D. (Live And Not Die) Tour," presented by his label, 22Visionz, in promotion of his Live And Not Die EP. He has taken his life-affirming message, “Live and Not Die,” around the globe—from North America, Europe and Asia—and he has only just begun! Want to leave a message for T-Ran Gilbert? We'll post your comments right here!